Select your drink of choice easily with The Nespresso Lattissima Touch, which offers 6 tactile “touch” buttons to deliver up a delicious Cappuccino, Latte Macchiato, Ristretto, Espresso, Long Espresso, or Hot Milk with the press of a button. This automatic cappuccino machine steams and froths milk to perfection quickly with programmable amounts of coffee or milk, and is easy to clean due to descaling alerts and automatic ejection of used capsules to a bin. 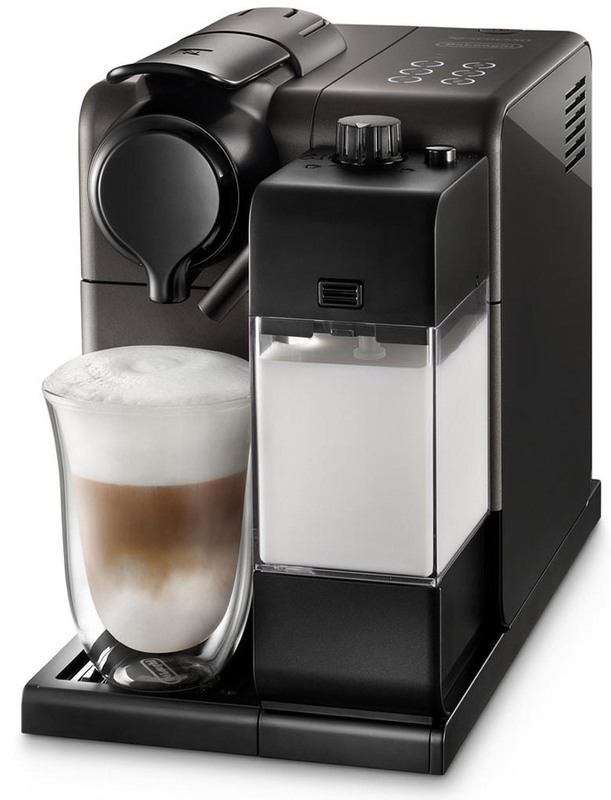 The Delonghi Nespresso Lattissima Touch comes in a space-saving slender design with a 10 oz. milk carafe that can be stored in your refrigerator when not in use. The Delonghi patented "automatic cappuccino system" is designed to steam and froth milk for perfect latte and cappuccino. 6 tactile "touch" buttons to choose your beverage: Ristretto, Espresso, Long Espresso, Hot Milk, Cappuccino or Latte Macchiato. Delonghi Lattissima Dimensions: ( l x w x h ): 6.8" x 12.6" x 10.2"